If you fail to plan you plan to fail. 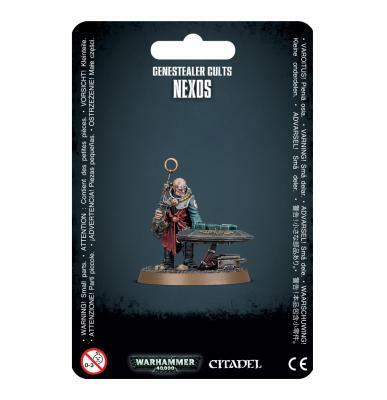 -Tzun tzu (probably) The Nexos is a tactical lynchpin for the Genestealer Cults army – a strategic unit who rewards careful planning. WIth him, you’ll be able to re-deploy your Ambush markers, letting you get the jump on the foe, while there’s a chance he'll grant you additional Command Points, giving you even more tactical options!